Dishtowels? 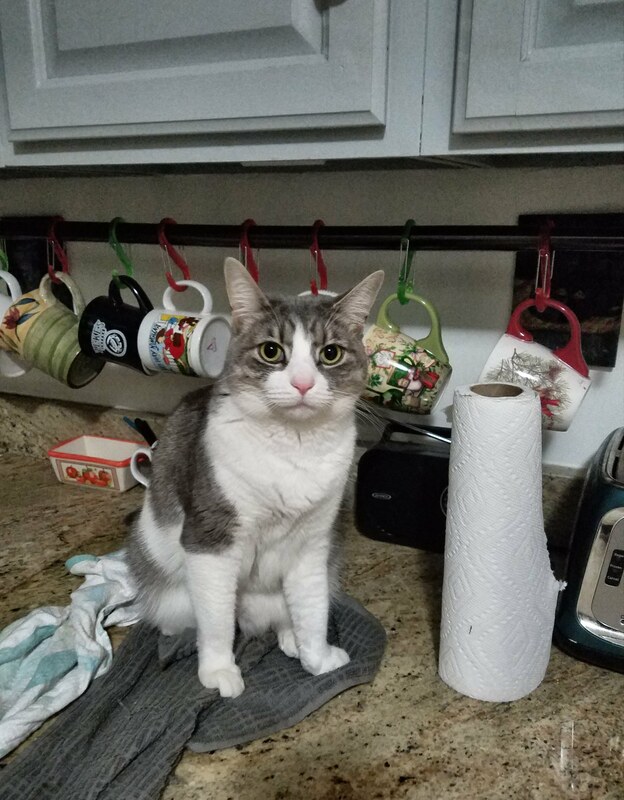 These are Luna towels. Can’t you see? They are grey and white just like me. Please use the paper towels. 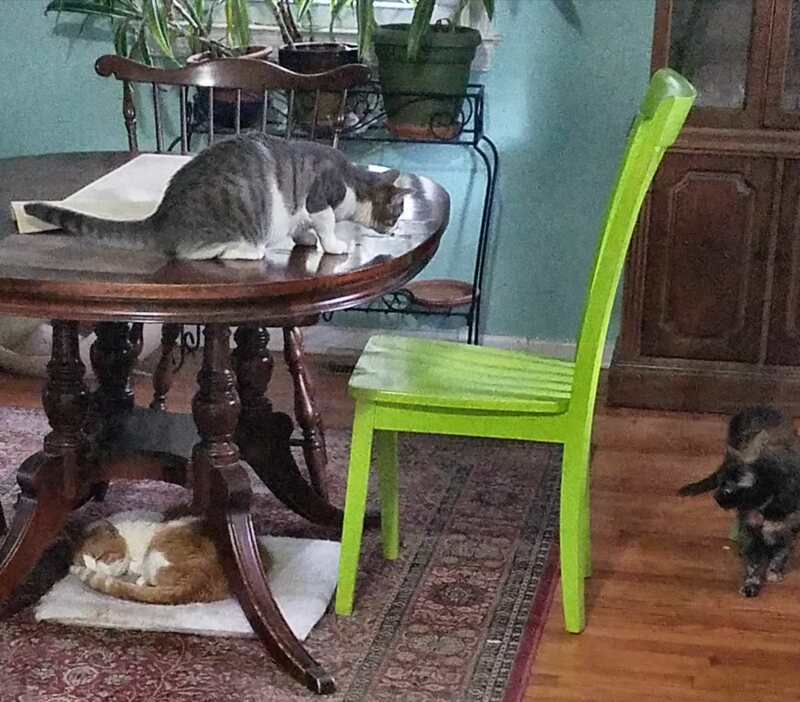 The fabric ones belong to me. 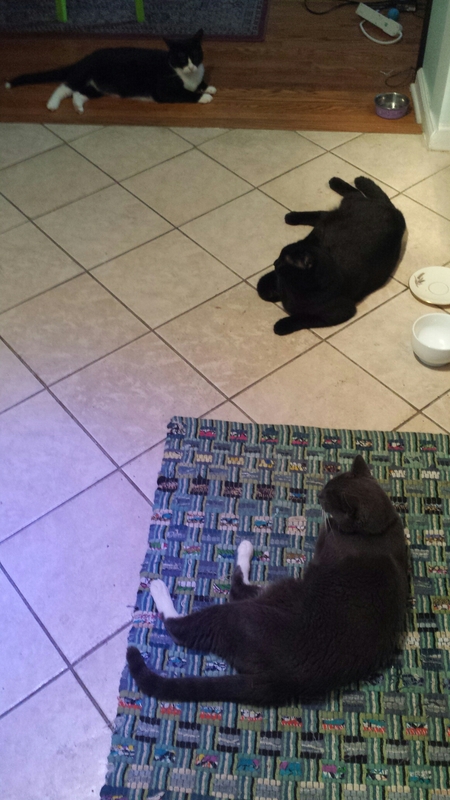 Reorganizing the kitchen, Humans? Good for you! 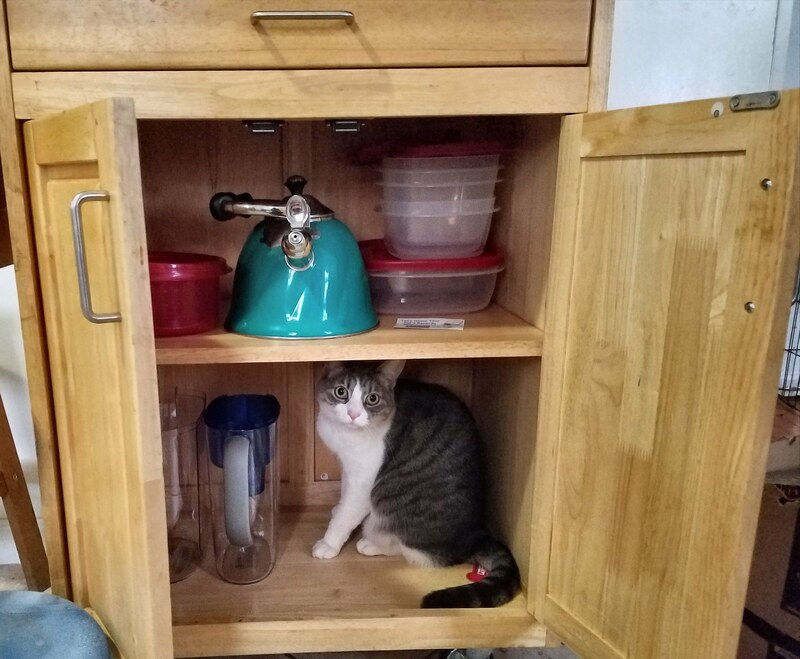 Just be sure to establish a dedicated Cat-sized spot in every cabinet. 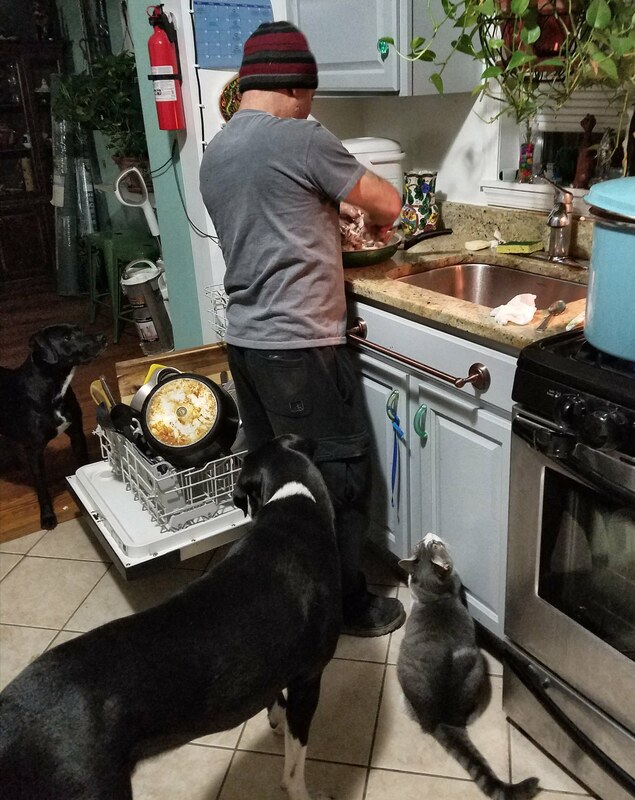 Canned food is good and all, but nothing beats your homemade Dog food, Human Mommy. 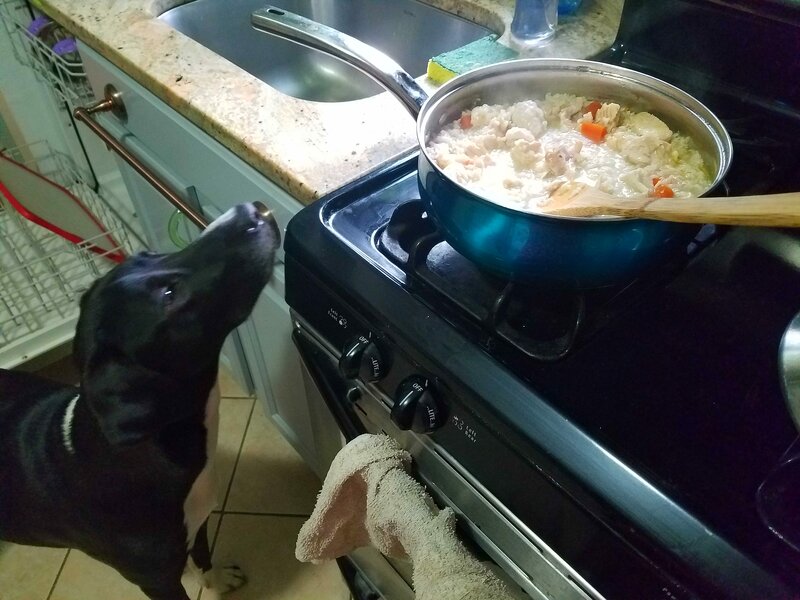 Mmmm… My sensitive Canine nose detects chicken, brown rice, carrots and a soupcon of extra virgin olive oil. Is it ready yet? 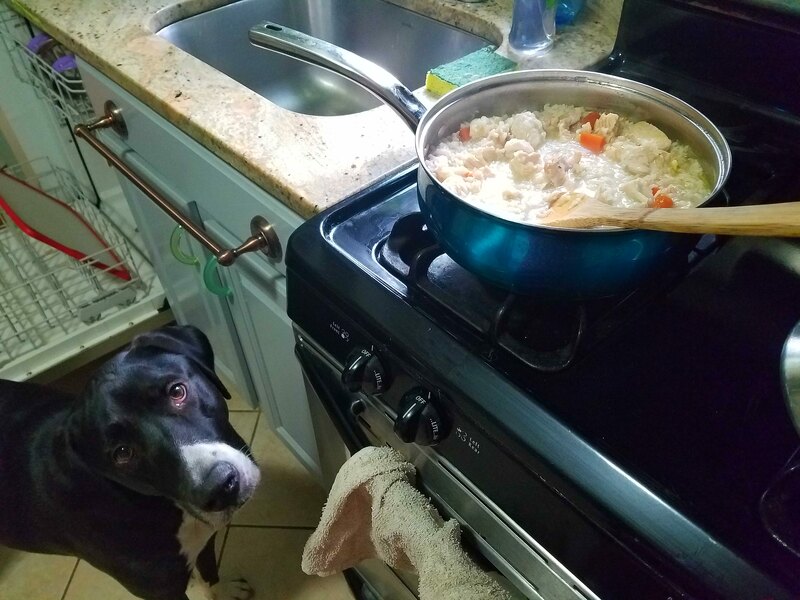 It sure smells ready and, let me tell you, I’m ready to eat! Choose your bachelor pad wisely. If you like a bit of action, don’t move too far out to the country–youthful Kittens will keep you young. 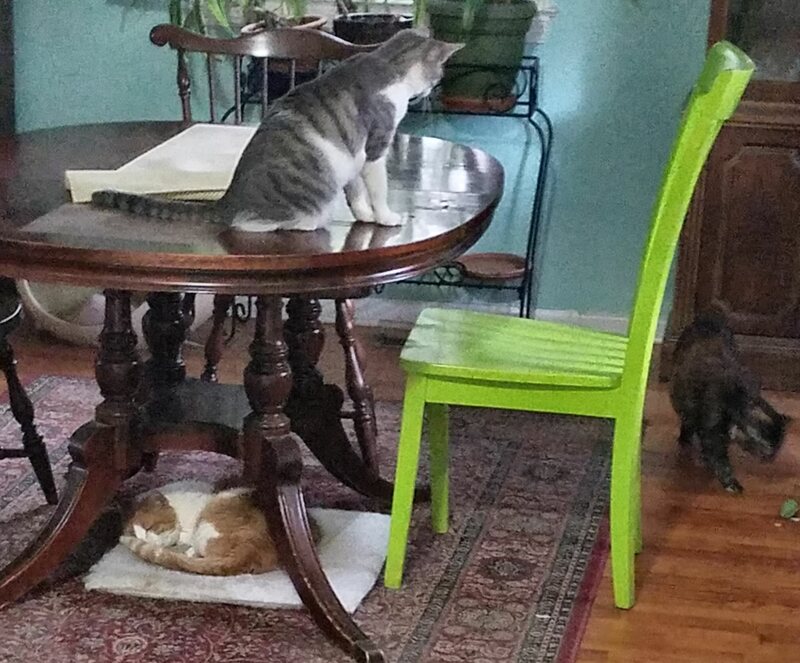 On the other paw, be sure that your pad is protected from the hurly-burly of the youngsters’ catnip-fueled disputes. Kittens may do fine with a mere 18 hours of sleep daily, but you require a minimum of 20 hours. Most importantly, make sure that your pad is in close proximity to the best place in the house, i.e. the kitchen. Find a place where good things happen and hang out there. Do you enjoy hot beverages and camraderie? Hang out at a local coffee house. Do you like tuna, cream, and crunchy treats? Then the kitchen is your best bet.